How would you like to take some cheap flat and boring cardboard and transform it into some pretty snazzy embellishments? 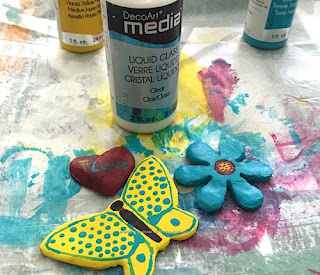 Well, this week I wrote some tips on doing just that over at the Creative Paperclay® blog where I am a Designer on their Design Team It is pretty easy and fun to do. Here is the link. I find this an economical way to make your very own embellishments to use in other projects. These also make great jewelry! I hope that you are enjoying this summer and when you have some of those I do not know what to do moments (especially on rainy days) that you come check my blog, and my youtube channel and get inspired to be creative. Thanks for checking in, have a great summer! Are we Collectors or Hoarders?